«Recueil de pierre et de sable» (1998) – for 2 harps (one detuned by 1/4-tone) 2 fl, cl, vln, vla, vcl – Ensemble Court-Circuit, P.A. Valade cond. 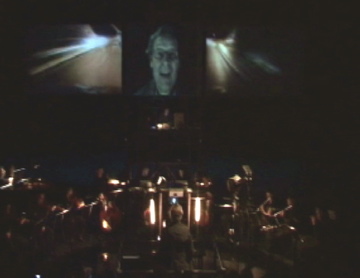 Streamlines (1994) – for 9 instruments (excerpt) – Ensemble Court-Circuit, P.A. Valade cond. 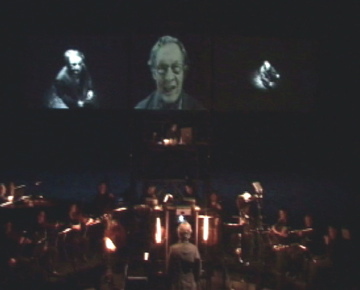 Counterfactual (2010-2011) – for tam-tam, harp, double bass and six instruments (excerpt from live recording) – Callithumpian Consort, Steven Drury, cond. Origins (1989-91) – for large orchestra (excerpt) – N.O.S. Radio Symfonie Orkest of Holland, Lucas Vis, cond.